The Arlington Dresser by SG at John V Schultz Furniture in the Erie, Meadville, Pittsburgh, Warren, Pennsylvania area. Product availability may vary. Contact us for the most current availability on this product. The Arlington Collection will add Traditional Styling to any bedroom. 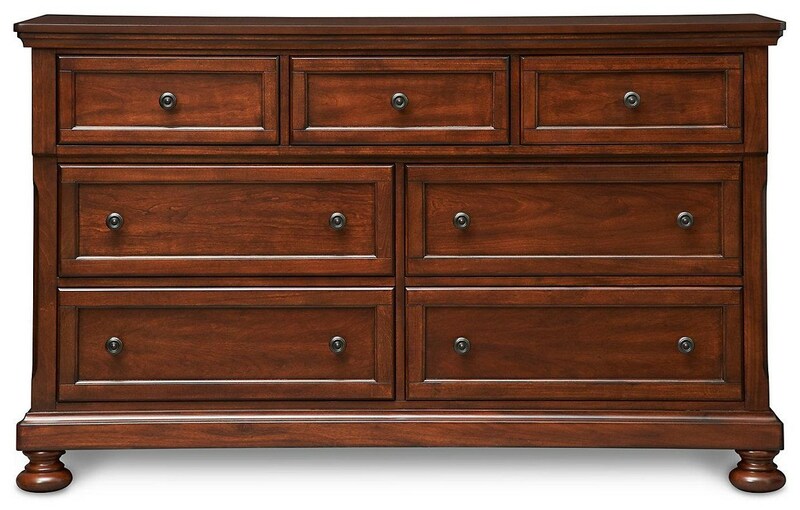 This collection features solid wood and cherry veneers in a rich Cherry finish, ball bearing drawer glides, cedar lined drawers, & a jewelry tray. The Arlington collection is a great option if you are looking for Traditional furniture in the Erie, Meadville, Pittsburgh, Warren, Pennsylvania area. Browse other items in the Arlington collection from John V Schultz Furniture in the Erie, Meadville, Pittsburgh, Warren, Pennsylvania area.